IPod/MP3 Input, Onboard Communications System, Back-Up Camera. Express Cargo Van trim. Warranty 5 yrs/60k Miles - Drivetrain Warranty; AND MORE! Back-Up Camera, iPod/MP3 Input, Onboard Communications System MP3 Player, Electronic Stability Control, Bucket Seats, 4-Wheel ABS, Vinyl Seats. 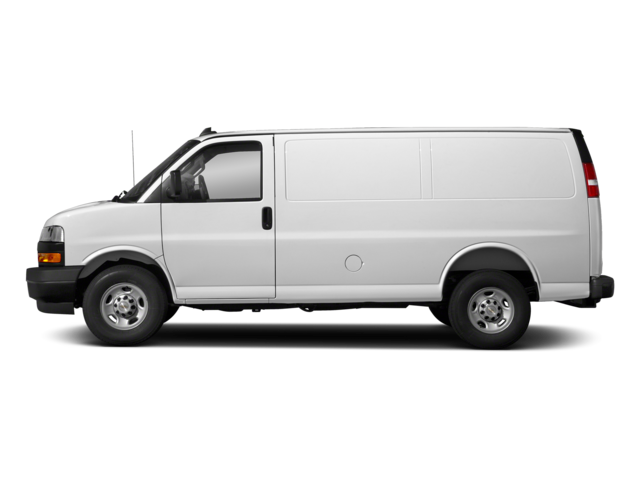 Hello, I would like more information about the 2018 Chevrolet Express Cargo Van, stock# ALLGOOD. Hello, I would like to see more pictures of the 2018 Chevrolet Express Cargo Van, stock# ALLGOOD. Ready to drive this 2018 Chevrolet Express Cargo Van? Let us know below when you are coming in, and we'll get it ready for you.